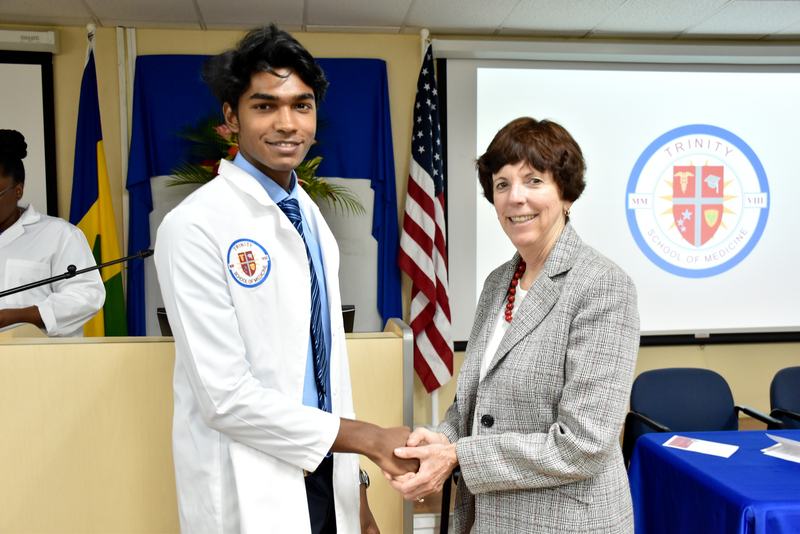 Earlier this month, Trinity School of Medicine held its white coat ceremony for the January 2019 starting class. Along with the new matriculants, parents, relatives, friends, and other well-wishers gathered to celebrate the day on Trinity's campus in St. Vincent & the Grenadines. 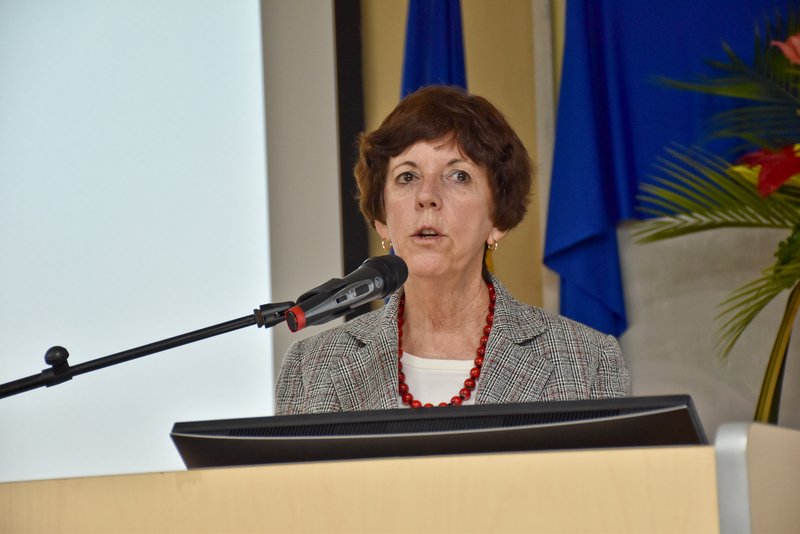 Presiding over the event was Trinity dean Dr. Linda Adkison with guest speakers Vincentian government minister, Hon. Luke Browne, and keynote Dr. Sherian Slater of Milton Cato Memorial Hospital. After welcoming the new class and their families, Dr. Adkison took a moment to impress upon the group that the theme of the day was going to be the influence of their attitude on all elements of their educations and careers. She noted that as attitude shapes decision and decisions impact lives, it was a critical element of a physician's toolset that took discipline, effort, and vigilance to master, but through that mastery came the world's best doctors. 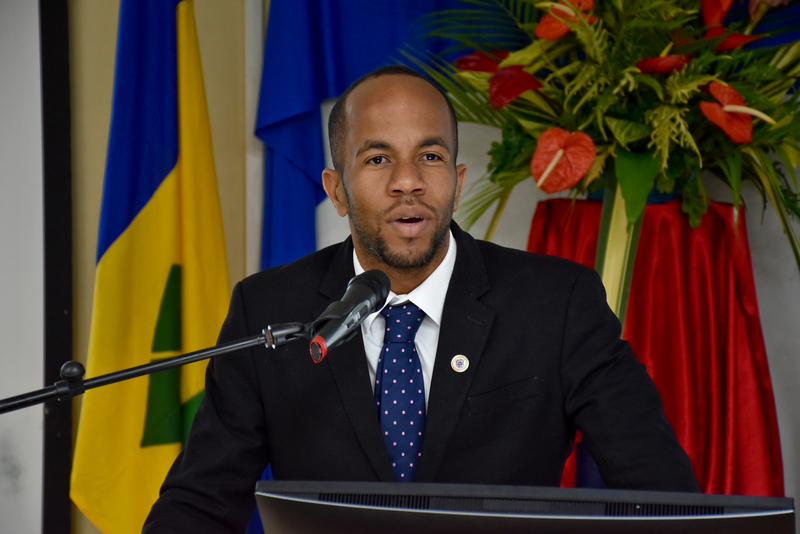 As a representative of the local government, St. Vincent's minister of health, wellness and the Environment, Hon. Luke Browne continued where Dr. Adkison left off, describing the future physicians’ choice of a school on an island far from home as a commitment to their goals. He was keen to add that St. Vincent and Trinity together recognized that commitment and always sought to match that energy in supporting the students. Last year's graduating class, now practicing across the US and Canada, spoke to their new colleagues via a video, showing them where the school will take them and how they felt when they sat in those same seats four years earlier. 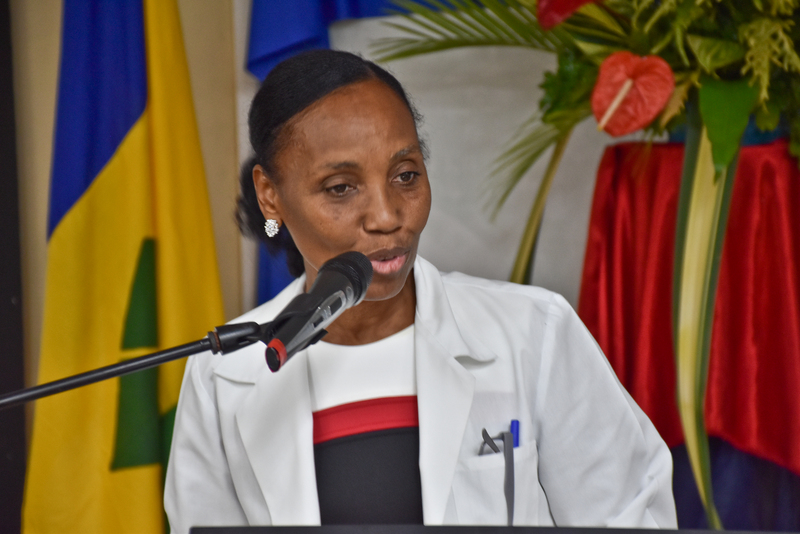 The ceremony's keynote speaker Dr. Sherian Slater is the former head of obstetrics and gynecology at the Milton Cato Memorial Hospital [ed. Trinity's affiliated teaching hospital]. She continues her service as a practicing physician and as both chief medical officer and acting medical director. A fellow of the American College of Obstetrics and Gynecology, Dr. Slater has been a leader in the region for decades and serves on Trinity's faculty as an assistant clinical tutor of students in the medical school's first three terms. The event concluded with the students receiving their white coats from faculty and Dean Adkison congratulating the recipients with a profound reminder: heed Dr. Slater's words and always hold fast that attitude influences the choices that determine destiny.